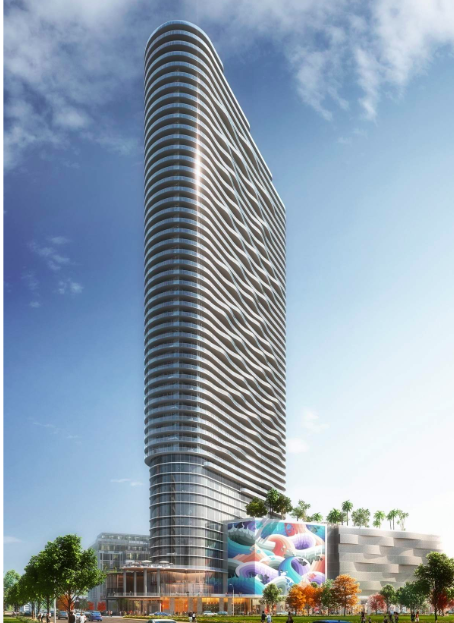 New York's Red Apple Group expects to break ground early this year on a soaring tower in downtown St. Petersburg that will include condos, a 200-room hotel, event space and possibly room for offices. In a full page ad in the New York Times, the company unveiled a "draft'' rendering of an approximately 50-story tower that will be taller than anything on Florida's west coast. Image courtesy of Arquitectonica and the Tampa Bay Times. Nico Hohman is the broker/owner of Hohman Homes, a residential real estate brokerage based in Tampa, Fla. Nico is also a contributing author to Realtor Magazine and Inman News, the innovative news source for the real estate industry. Nico has contributed his time and talents to better the standards of the real estate industry and the local community by leading and serving on committees at Greater Tampa Realtors, Emerge Tampa Bay, the University of Florida School of Construction Management Alumni Council, Toastmasters International, Nativity Catholic School, and Johns Hopkins All Children's Hospital Guild. Plus, every fall, Coach Hohman is the Head Golf Coach at Jesuit High School of Tampa. Since he began practicing full time in the residential real estate in the fall of 2014, Nico has been involved in the transaction and management of over 100 properties with a total value of nearly $20,000,000. With a degree in Construction Management from the University of Florida and past experience in the home building and remodeling industries, Nico focuses on helping homebuyers find and purchase new construction homes. He also helps home sellers looking to sell their properties that also require significant renovation.